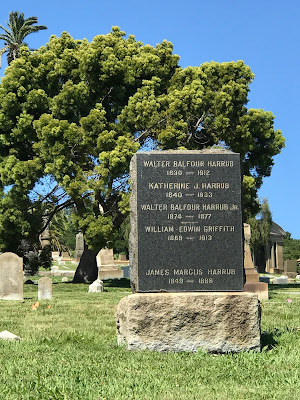 Walter Balfour Harrub was born in Plymouth County, Massachusetts on July 16 1830. He lost his mother as a young boy and was basically on his own from that point. He learned the trade of a shoemaker while living with an uncle, but eventually became a cooper, a person who makes or repairs casks and barrels. At age 19, he came to California during the Gold Rush aboard the barque* Pleiades. 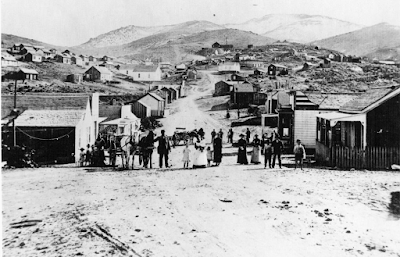 He arrived in San Francisco on September 18, 1849 after a 218 day journey and set out for Marysville, which was known as the "Gateway to The Gold Fields." During a trip back to San Francisco, Harrub fell and ill and required six months to fully recover. He eventually settled in Foster Bar, California and hired some Native Americans to take him to a nearby location where he staked ten claims and was successful in finding gold. He took his earnings and opened a hotel near Fremont and managed the food operations at a hotel in Shasta, but eventually returned to the gold fields near Grass Valley. He took his money and invested in a variety of ventures. He opened a large cattle ranch near Sacramento and a butchering operation in Dayton (formerly Grainland), located in Butte County, California. He also operated a freight line from Dayton to both Virginia City and Washoe City, which also carried mail. Perhaps his largest venture was forming the Ruby Hills Water Works, named after the nearby mining camp. Harrub built two pipe lines covering 10 miles, which supplied water to most of the neighboring mining camps. 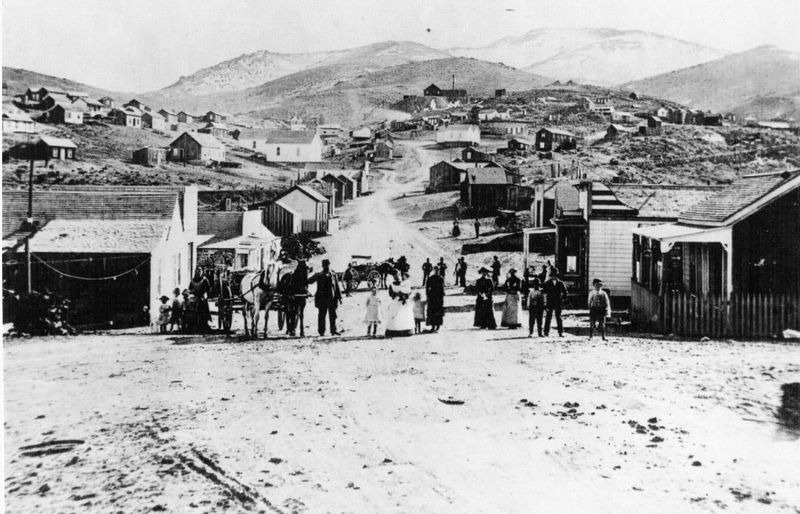 In 1874, Harrub moved his family to Oakland, where he bought four homes and other property in the Fruitvale area. His second wife Katherine was a well-known hostess of society events in Oakland. He died after suffering from an abscess of the throat for six months. * Barque: a sailing ship, typically with three masts, in which the foremast and mainmast are square-rigged and the mizzenmast is rigged fore-and-aft. Richard George Hersey was born in Berkeley on October 9, 1949 in Berkeley, California and graduated from Miramonte High School in Orinda in 1967. He was an American exchange student in England when he met Simon LeVay, who would go on to become one of the leading researchers about the human brain in the world. In 1971, while Hersey was completing his studies at the University of California at Berkeley, LeVay got a job with future Nobel Prize winners David Hubel and Torsten Wiesel at the Harvard Medical School. The couple bought an old Volkswagen Bug and traveled across the country to meet Hersey's parents. In 1972, Hersey went east with LeVay and did some course work at Boston University. He eventually was accepted in the UCLA School of Medicine, so the couple lived on opposite coasts. After medical school, he did his internship at Boston City Hospital and the couple were reunited, living in the Beacon Hill area. After graduation, the couple were apart again, as Hersey accepted a job as a kidney specialist in New York. 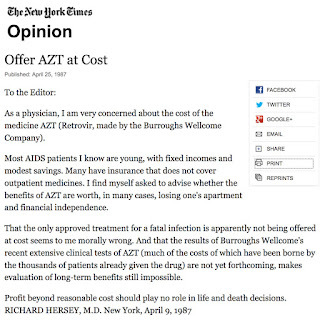 In the mid-1980's, Hersey was diagnosed with AIDS, which was a time when the disease was still a death sentence. 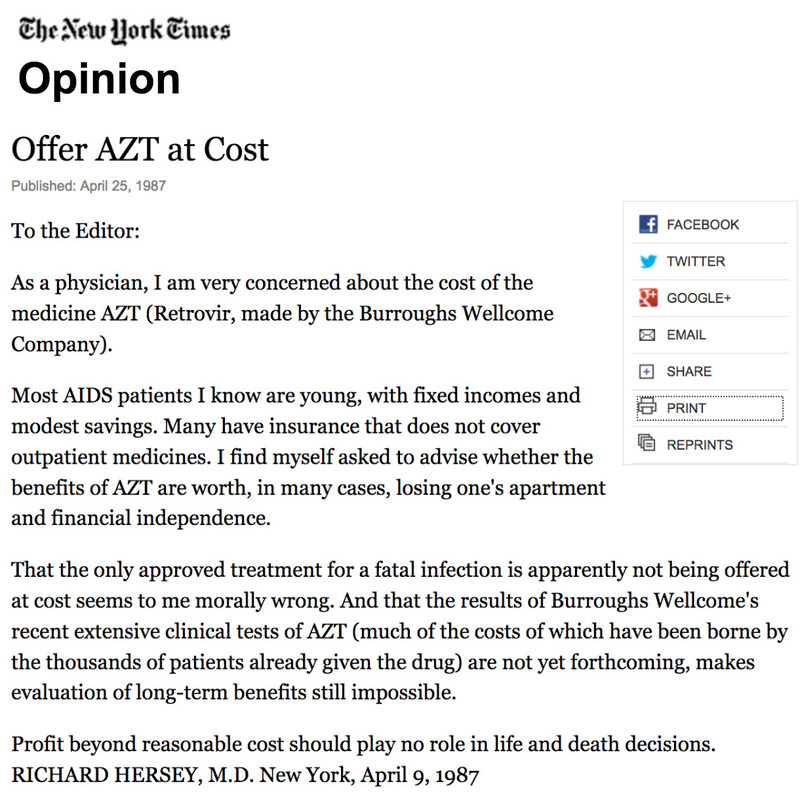 He started on a regimen of AZT and fought to get the price of the drug down for patients struggling for their life, including himself. An avid bicyclist, his illness did not prevent him from taking a bike ride in Iceland by himself, as well as rides in the Faroe Islands and in Scotland. When he got too sick to look after himself, he moved to San Diego to be with LeVay, who was working at the Salk Institute. He died at LeVay's home of Kaposi’s sarcom with his partner and father by his side. The couple were together on and off for 21 years and LeVay dedicated his 1993 book The Sexual Brain to Hersey. Hersey's father published a World War II memoir entitled A Ship with No Name.